Leads are the gold for B2B marketers looking for strategic conversions. Every business needs qualified leads. That’s why we wrote a guide to CRO — Conversion Rate Optimization. CRO is arguably one of the best tactics you can use for ROI with a quick payback. 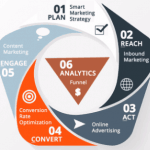 It also sits prominently within our RACE marketing cycle diagram (below) at position #4. If your site is not converting, and you are not working on ways to improve conversion rates, then you may be losing money. In B2C and e-commerce, marketers are often concerned about moving directly to a sale. Conversely, B2B sales cycles are longer so it’s very important to capture leads. We at Webdirexion contend that leads are very important in B2C work too, particularly for potential customers who aren’t ready to buy yet. One of our focus industries is in hotel marketing and we see a majority of hotels just focusing on reservations alone. But what about those site visitors who are comparison shopping, liked the look of your hotel and could be persuaded to join a list of events, festivals and room rate specials for your property? Think about the percentage of those you convince to sign up before they make reservations who will then return later to make a reservation. In this sense, sometimes many important “conversions” happen prior to a sale. 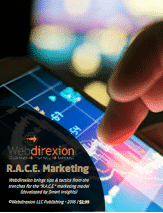 Webdirexion uses the R.A.C.E. marketing strategy where one specific focus is on Conversions. “Conversions” are a term from analytics that simply means when a site visitor does something that takes them one step closer to becoming a customer. This could be when a visitor fills out a form and “converts” from a site visitor to a lead. It could also represent a series of “micro-conversions” in which a visitor takes a smaller step toward becoming a new customer. These micro-conversions may include downloading a PDF, or even just viewing three or more pages in a session. We like the conversion that happens when a visitor looks at three or more pages on a site (i.e., the visitor converts to a more engaged and interested visitor), because a number of studies have shown a higher percentage of those looking at three or more pages at your site are likely to do business with you. We name this goal in analytics “engaged visitor” and assign a dollar value to it, which I’ll explain below. Often we focus on a single landing page to improve conversions on that page alone, though conversions may extend throughout your site in funnel sequences and also into online advertising and emails. 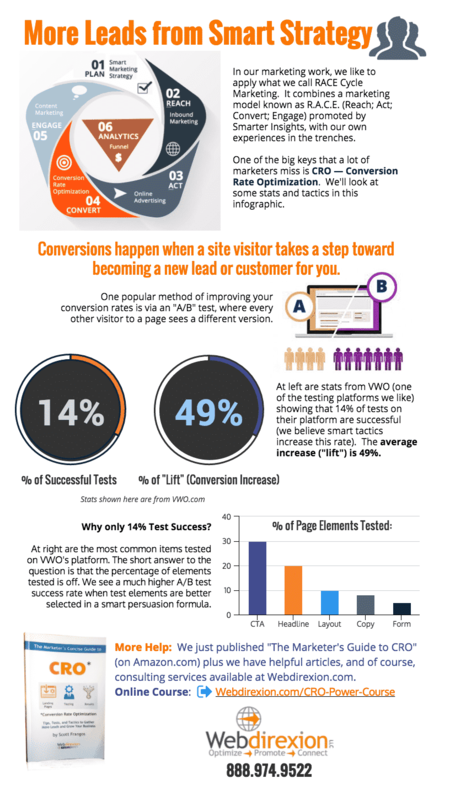 One of the best-known methods of improving results on a landing page is via an A/B test — every other visitor to the page sees a different version of the page. Usually, we focus on headline wording, the lead graphic image, and the call to action (CTA). 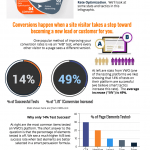 Our companion infographic on Conversions helps illustrate this crucial marketing tactic (click to enlarge). That’s the secret! Testing! Always be testing. Why? Because your site “design” is just a best guess at what will be persuasive and compelling. Then you make a new “guess.” Why do we call your hard work, even based on a lot of experience, a guess? Because your visitors aren’t really involved until they first encounter your design unless you do some advance design testing. And every business, website, page, and interaction is a brand new ballgame, even if you approach the design and development with a very experienced team. Think about it: you’re not really asking your visitors and potential customers what they make of your presentation until they get to the page. And they will tell you what attracts them or what causes them to bounce. Oh, and there’s one more reason we call your best website design shot a “guess.” Because the huge majority of smart testing results in what we call a “lift,” meaning that you get more leads on a landing page with a lead form. So much for the first guess, right? 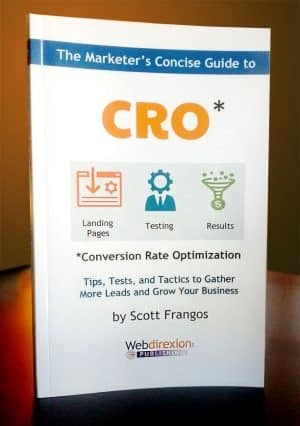 Note that CRO is not simply about optimizing for behavior on a landing page — you will need to consider the series of pages leading to a landing page at your site, often called a “funnel,” and even optimizing what happens before a visitor arrives at your site (by testing ad copy) and after (by testing follow-up emails). We are currently running A/B tests for one of our five healthcare clients, a hotel-resort client (another specialty), and at our own site. We are also running heatmap testing that helps us review how visitors interact with a page for four of our clients. We will touch on a couple of examples here, then give more detailed examples in a forthcoming guide we plan to offer on COMP. 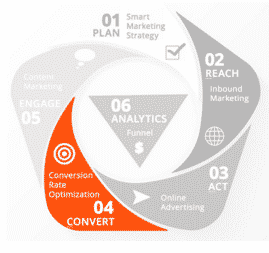 For more helpful overviews, refer to our book, The Marketer’s Concise Guide to CRO. We did get in iterative improvement here, but we usually like to see between 400 – 1600 sessions during a test, depending on complexity. 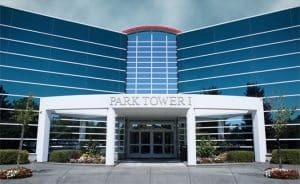 Here, our client elected to move on and redeploy advertising focus to new marketing objectives. So, in the example of an engaged visitor where you have a Software as a Service (SaaS) that costs $60, let’s say that you can calculate that one 30 who engage (view three or more pages) will purchase, then this goal is valued at $2 ($60 ÷ 30). Over time, you will be able to watch different segments of site visitors and adjust your goal values accordingly to match real-world revenue. But what about customers whose values extend beyond the first sale, repeat customers who continue to buy more services and products from you? 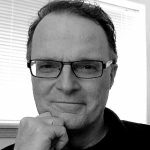 We like to keep dollar values for goals simple, but in such cases, you could adjust up the dollar amount to reflect a continuous customer, for having a new repeat customer is probably worth more to you than the dollar value of the first sale. Some marketers assign a lifetime customer value — and it is a good idea to know and calculate that too, even if you don’t use it in Analytics goal settings. We believe you need a culture of ongoing testing to always be seeking iterative results. In our experience, not every test will show improvements. Roughly one-third of your B pages might be worse, with about one third showing marginal results. But it’s the final third we’re after — the holy grail of digital marketing. 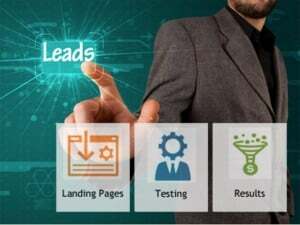 That is, pages that cause prospects to take one step closer to doing business with you in B2B, or toward making that first purchase in B2C and eCommerce. Challenge yourself to do 12 tests in the next year. If your average is four good CRO improvements, think how much that will add to your bottom line.